Our guide to Mendocino will help you find the best bed and breakfasts in Mendocino California. There are tons of great bed and breakfasts in the city of Mendocino, our city guide will help you find the best bed and breakfasts. You may have a hard time deciding what to do in Mendocino, but we make your decision easy. 9401 Coast Hwy One N, (707) 937-4752 - The clean, contemporary, Arts and Crafts style of the inn celebrates the rich logging history of the area with dramatic use of redwood throughout. There are plenty more bed and breakfasts in Mendocino. 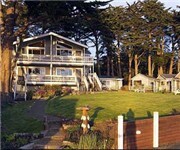 See all bed and breakfasts in Mendocino California.